Before I changed my habits, I spent money without much thought. In college, if I had a two-hour break between classes, I'd drive to the mall. Once I started working full time, my coworker and I would bring our lunches to work just so that we'd have the entire hour to shop. If I was bored, I'd wander into the cosmetics superstore Sephora for entertainment. Even at home I'd shop, buying online and tracking my packages until they arrived. These habits never put me deeply into debt, but they weren't helping me to get out, either. I was often surprised at what my total at the checkout counter, but I'd throw down the credit card anyway, too self-conscious to put anything back. I'd make a lame promise to myself to cut back, but I never did. The temporary high of buying Stuff was making me miserable when the credit card bill arrived every month. When I finally had enough of paying down the debt just to drive the balance back up again, I went in the other direction. I quit buying clothes and cosmetics and made my lunch every, single day. It was a strange adjustment to have a packed lunch and a full hour in the middle of the day, without a shopping trip to fill the time. I cut my magazine subscriptions, reduced the minutes on my cell phone plan, carpooled to save gas money, and took clothing to the resale shop. I avoided every expense I possibly could, and the debt was paid off pretty quickly. The downside was that I found it hard to spend money on anything, even after my husband and I were debt-free and had a healthy emergency fund. I remember when it became clear that I needed to assess my relationship with money (yet again) because it was the day that the glass carafe from our French coffee press hit the floor. My stomach turned, and I immediately wondered how much it was going to cost to replace it. I went online and found that a replacement carafe would cost $12. I breathed a sigh of relief, but I also realized that my reaction wasn't indicative of a healthy relationship with money. My compulsion to buy had turned into a compulsion to save. Why was I buying all that Stuff? Why was I now so worried about saving every cent, especially since we were out of debt and saving money every month? I filled my need to buy with a need to save, and neither was working for me. Gaining knowledge. This year I paid more than I ever thought I would for a business course. Halfway into it, I know it was a good decision that will more than pay for the cost of the course. Paying to learn something useful doesn't necessarily have to have a monetary return on investment, though. I'd like to hire a swim coach to improve my skills, which won't make money but does provide a great physical workout. I don't feel badly about spending money when I will learn something of value. Experiencing something new. This one can overlap with gaining knowledge, but I felt it was still worth mentioning separately. Experiencing something new can mean travel or taking lessons in something that interests you. Paying for quality. The quality of the food I eat is a high priority to me, so I'm okay with spending extra in that area. Another example is the aforementioned clothing habit. I've come to adapt the quality over quantity stance when it comes to clothes. If I actually need something, I'll buy it, but I want it to last and I'll pay a more for that (and an upcoming wedding is no longer considered a need for a new dress). Supporting important causes. One example of a cause that I support is buying locally, so I'm okay with spending extra if it's supporting a local business. You can lobby for many causes just by mindfully choosing how and where you spend your money. Determining when I'm okay with spending has helped me to find a balance between mindlessly consuming and mindlessly saving. When are you okay with spending more money? Why do you value those things? J.D. 's note: I went through this exact same thing. When my frugality paid off, when I got out of debt and built savings, I still couldn't spend on myself. Does everyone go through this? It wasn't until I re-discovered the balanced money formula that I was able to loosen up again and budget for fun. I'm much happier for it. There are 68 reader responses to "The Balance Between Splurger and Miser". Excellent timing for this article – I’ve recently come to terms with the fact that I’m going through this too. Last year I was almost pathological about saving, and spent almost nothing on myself. This year I made a resolution to spend more money (how many people have *that* resolution in a recession?). I took up martial arts, bought some sports equipment (clothes, MMA gloves, kit bag, gumshield), and this month splashed out a bit and bought a new watch and phone. I feel better for it, and everything was paid for with savings, but now I need to make sure I don’t fall back into spendthrift habits. 30% wants, eh? We’ll see. I find it difficult sometimes to balance the two extremes. I now try to focus on long term effects of financial decisions. Taking a vacation may cost a bit of money, but I’m getting an experience to share with my husband. Great article. I totally agree with your bullet points at the end, especially the last two. A lot of times the cheapest thing is not the best investment (quality is the way to go), and giving to worthy causes is such a healthy/good thing to do (frugal, no, worth it, yes!). One other area I’m willing to be un-miserly in is date nights/babysitters/overnights without the kids. We don’t spend tons of money on this category, but we do feel like the couple time we get on date nights or overnights is well worth the monetary investment. I get the feeling this happens to most of us who were big spenders! Here are two things that have helped me balance my saving and spending. 1. Spend less than you make, but spend something. 2. Have a goal for what you are saving for so you are not saving just to save. April & J.D., I think most people who make dramatic changes like that go through those phases of extremes. I never had a long period of splurging, but I started making much better money decisions after college. Then I went through that phase of not wanting to spend money on myself at all. I still struggle with it some but not because I want to save so much. For myself, having defined goals and figuring out how much I need to save to reach them has given me freedom to spend on the “fun stuff” in my budget without thinking too much about it. If I’m paying my bills and saving enough for the future, I don’t feel like I need to worry much about spending on the extras now and then – especially when it’s budgeted in. The key is figuring out what those goals are and what “enough” is for your situation. Very timely post; I am struggling mightily with this issue right now. I have a very stable, if not especially well-paid, main job that adequately covers my rent and utilities (and luckily I live in a land with national healthcare, so insurance is not an issue) and two side jobs that pay for everything else. I have NO debt to speak of, not even credit card. Over two years I have amassed $40,000 in my bank account, an amount that gets steadily larger every month, because I have become compulsive about saving, nay, *hoarding* money to the point that it is affecting the quality of my life. I’ve stopped having a social life, because I begrudge myself every little penny that I spend on “fun.” I beat myself up constantly for not saving even more money. Yesterday some of my co-workers lovingly and jokingly asked me, “so what do you do every night, sit around and count your money?” That’s when I realized that I have become a Scrooge-like figure to my colleagues. It was a shock, I admit. You all must be laughing at me right now, and I don’t blame you at all. However, I am suffering. I know that this behavior is not normal, but I can’t stop myself from doing it. I think I need help. Anyway, thank you for letting me post about something that I have been keeping bottled up for a long time. I appreciate your advice. Nice post! This is partly what I’m going through (or at least, have been doing for most of my life). I grew up not having much of anything and have been in saving mode all my life (the comment about the coffee pot breaking rings a whole churchload of bells). I realise I need to lighten up, but don’t know how to make the change. My partner has a steady income and therefor knows exactly how much he can spend on fun stuff, and he does so faithfully. However, being a one man entrepreneur with varying income myself, the fact that I don’t know how much I’m going to make in a given year (or month) makes it difficult for me to apply something like a balanced spending plan. For me, everything is set to a minimum and whatever is left over, remains in the bank or the company. It feels weird that he keeps shopping, ordering and giving gifts to me while I’m constantly checking my accounts. I guess more people are trying to manage a similar situation. I can’t stop wondering, ‘how do they do it’? Any ideas? Great post! I can relate. Thanks! Timely for me…we’ve been uber frugal the last 2 1/2 years striving to pay off our home mortgage. April 1 should be pay it off day!!! Or, should we pretend the mortgage isn’t paid off, and still “pay” a mortgage to a different savings account…hmmm decisions, decisions! When I finally took off the tags and put it on the bed, it was a huge relief. With plenty of $$$ in our emergency fund, we’re paying our mortgage and remaining student loans off quickly and have no other debt. I should be able to buy things that we need – but the anxiety is hard to overcome. I have always been an advocate of quality over quanity. I look at it from two standpoints. First, owning high quality stuff means that I don’t need to own a lot of stuff, and I take better care of the stuff I do have. Second, high quality items last longer and are environmentally friendly, because I am not adding as much to the landfill when stuff eventually wears out. All in all, good stuff is actually much more economic in the long term. Except with moral absolutes, it is usually never good to be at either bipolar ends of a spectrum. It’s difficult because it is very hard to find middle ground. Paying off a mountain of debt requires sustained intensity and focus – these same qualities could work to your detriment in a different phase in your life. @Chipmunk (Post #6), have you tried buying things you need little by little? Perhaps, just one of shoes this month and a nice shirt the next month – this may be less overwhelming. Life is so precious and too short; please don’t forget to savor it. You deserve better. 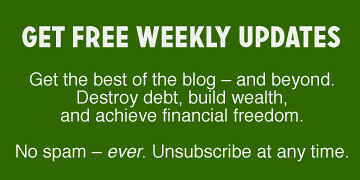 @Guus (Post #7) – Have you heard of Dave Ramsey? He talks about an “Irregular Income” spending plan. The gist of it is basically you write down a list of fiscal goals in order of their priority. When you get income, address whatever is at the top of the list and nothing else. Don’t do anything that is not on the list. This, of course involves, you reassess your needs from time to time. Good Luck! Thanks for that suggestion! I think I’ve heard of it but haven’t implemented it. My partner and I keep a tight budget generally and have good insight in what goes out. In my case, I pay myself some sort of wage out of the company (although all the company’s money is my money and there’s no fiscal or other separation, apart from the one I put there) to cover my basic needs: rent, insurance, something towards a small pension, etc. and a small sum for other stuff. The rest remains in the company for when the tax office comes to collect or for when I have a slow month. And there’s the rub: if I apply the irregular income budget plan, I have to know how much each amount is, but one of the most important amounts, tax, I just don’t know exactly how much it’s going to be. Rules change every year, income changes every month, etc. For all I know, next year I may have to pay twice as much as last year. Over the last 7 months, due to changes in tax rules and a mistake on their end, I had to pay income tax over 2008, 2009 AND 2010 (the latter based on income expectations, so still no certainty for me). We are creatures of habit! and i would say i admire your saving habit. You fall among a very small percentile of people who actually save glad you are able to do it. As you pointed out! finding the balance is crucial, without falling back to the old habit. My wife and i are the opposites in terms of spending.. she is the spender and i can be obsessive saver.. but these two extremes balances out fairly well. I learn from her how to spend and she is learns from me how to save. Chipmunk, I’m worried about you! You are making decisions that will compromise your health. Walking for miles a day in worn shoes that are ‘wrecking your feet’ could cause stress fractures in your legs. It happened to a friend of mine and it was very painful! You also need to see a dentist pronto. I would also, gently and respectfully suggest that you speak to your doctor about these lifestyle changes. I’m concerned that you may be clinically depressed. It’s very good that you recognize that things aren’t balanced. You are clearly a hard working person. You do deserve to enjoy the fruits of your labour. I like the buying local idea. We try to do this, but the farmer’s market is far from our house. When we can, we get some excellent pastured pork from a local farm at a good price. Might be a little bit higher than grocery store meat, but the farm uses no steroids or anti-biotic products, etc. Buying quality is also a good idea – I’m a big fan of this, especially for items that are big purchases (furniture, vehicles, and the like). It takes longer to save for these items, but in the end I think we enjoy the quality items we buy. We usually regret the lower-quality purchases. April: I’m glad you found your middle ground. You have some good ground rules for situations where it’s ok to spend money. I think that’s the area that frugality sites sometimes miss – declaring the times and situations when spending money – and sometimes, even, spending extra money – is a good thing. I think if we think of frugality as ONE of our values and balance it with our other values (such as learning or supporting local businesses in your case) we can choose the best way to spend our limited resources to support those values. Saving money isn’t good for its own sake, saving money is good b/c it enables us to spend it on things that are important. @Chipmunk: Definitely not laughing at you! But yes, it does sound like you have a problem. Saving is ok – but at least get that tooth fixed – it will cost you a fortune in a few years – especially if you need dentures. I agree with Maureen – talk to your doctor. I can relate to April’s post a lot. That’s how I was a couple of years ago in college (re: the spending). Now that I’m getting close to paying off my debt, I have learned healthier habits during the process. I don’t think I have a compulsive need to save, but I KNOW I won’t be going back to my old free-spending habits. I think a balance is definitely important. I will always like some Stuff – that won’t change. I just would rather not do it on debt, and it’s fun to save and look forward to buying what you REALLY want. I have never been that good spending money on myself. I am glad that I never had debt and I had to deprive myself of stuff that is important for me, but I think some people just have a mindset that prevents them from treating themselves very well. I suppose it is some sort of guilt feeling. I find myself in both of these odd situations at times. MOST of the time I don’t spend money on much and just dream about stuff I want. Then once in a while, I’ll just splurge and spend entirely way too much for things because I’ve wanted them for awhile. Afterward, I find myself getting aggravated at what I’ve done, save for a while, and start the process over again. It’s a vicious cycle. I’ve found that I have saved quite a bit over the years, but after marriage and a new baby, my paycheck doesn’t seem to go quite as far as it used to. My wife is staying at home with our son, so we are just relying on my income. The only debt we have is a student loan that has cheaper interest than what I can earn other places, so it will get whittled down until interest rates spike again and then we’ll pay it off. I have always FELT like a spender even though I’m a saver. I managed to outsmart myself about two years ago by budgeting more specifically. I don’t feel guilty buying clothes when the money has ‘clothing’ written above it. I don’t worry about having to buy a new computer when I know there’s $900 to cover my car insurance that’s coming due next month. DH and I make good money and I cringe sometimes when I hear myself say, “We can’t afford it.” because we can. It’s just not in the spending plan. But then when I find the money for it I panic because that is $X that could have gone to pay down our mortgage or something. @ Chipmunk – If your assessment of your situation is true then you’re right: you need help. That isn’t a problem with money, it’s a mental problem and the way you spend money is likely a manifestation, much like anorexia isn’t a problem with food, it’s all in the head. Find a counselor (NOT on the cheap). Start with a primary care doctor who will likely be willing to prescribe low dose antidepressants and/or anti-anxiety. But GO TO A COUNSELOR. And regarding your teeth, have you considered how expensive it is going to get by putting off the dental work? It’s like a roof leak on a house. It’s $50 and an hour to fix it now. It will be $5000 and a week in a year or two. I actually just posted about how my husband and I came up with our allowance system for “fun” money. I was nagging and becoming my inner-Scrooge McDuck, so we came up with a compromise that ended up working for both of us. Now I’m not quite so bad and my marriage is much happier. I think the reason why we don’t spend for awhile after we get out of debt is because we don’t trust ourselves yet that we won’t get back into debt again. In other words, we have to rebuild trust with ourselves and that takes time, and the time probably is different for each person. I was terrified that I would overspend again, but as each month passed, and I didn’t and I, in fact, managed my money well, then that grip of terror lessened month by month. Just because you get out of debt doesn’t mean you are “cured” to never overspend. It’s a behavior change and again, it takes time to trust yourself that yes, you’ve made that switch and no, you won’t spend recklessly anymore. After so many months then of not overspending, you have confidence in yourself finally, that you won’t. And precisely because I didn’t want to have an unhealthy relationship with money, I made sure I gave some away on a weekly basis, (and that brought me pleasure to make a different in other peoples’ livees), and then later, I began to allocate a monthly portion to myself to spend on me however I wanted to. Recently, for example, I used that money I targeted for me to join a great gym, and I’m taking Zumba classes now and Step, Cycling classes and yoga. I bought the clothes and the shoes that I needed for these classes and have made a lot of new friends and am having a great time. Money is a tool. So long as you continue to stay out of debt, it should be used to enhance your life, both now, for your enjoyment, as well as saving for your future. Honestly this maybe the single best post on GRS ever. I haven’t read them all but most of them over the last couple years. I have thought about posting it in forums or writing about it months but thought people would think I was wierd. We finished paying off debt, then funded our E-Fund, Retirement and additional savings (shorter term savings, longer savings and a taxable brokerage account) ever month. However we still had a good amount of money left over. Now before I would buy everything, I was always worried about spending, but I had to have the latest tv, stereo or car part. At one point I had two new cars. Why would you need two brand new cars for one person? I don’t know, one was a project car but a project car I owed 20K on and paid for 5 year and never drove. Now we are putting away 40% of our gross pay. We have allocated personal fun money each month(10% Gross). But guess what I do with mine save it. Stash it away telling my spouse I am saving for something bigger but I don’t know if I can part with it. I am trying and much like others mentioned my goal this year is to relax and learn to enjoy spending some of the money we save. This isn’t a problem specific to money either. Before tackling my money problems I took on my health/weight I went from sitting around all day, eating everything in front of me and weighing in over 300lbs with a bmi of 38.5. I took on the challenge, learned to eat healthy, exercise portion control and began working out. Now years later I have lost over 130 lbs. I have a BMI of 21 and run for miles and miles every day. Currently I run over 40 miles every week, and track every calorie I eat. I am always afraid that this is the calorie that will make me fat again. There is something about extremes healthy or not that makes them addictive. I get depressed sometimes because I know I need to relax and spend money to enjoy things I like. Its just been so long I hardly remember what I enjoy doing anymore. I need to relax because every time someone wants to go grab lunch/dinner I freak out. I can splurge once and a while and not get fat again. Its just hard when you look in the mirror and still see a broke fat guy even if he’s in the body of a skinny runner sitting on a pile of cash. Re: I eat exactly the same meal three times a day – rice and beans – even though it makes me miserable. THis is not only boring but VERY bad for your health. If you live in the US, you will in the end have to pay more to fix the consequences, and it may be starting already with your teeth….. Do you at least take Vitamin C? If not, watch out for scurvy, a disease that has otherwise virtually disappeared in the Western World. I am 55 and in excellent health, and I realize that the older I get the more this is a true treasure-“health IS wealth” -because you cannot enjoy anything without it. It is well worth investing money in. Spending a little more on food would add interest to your life, taste better, benefit your health, and allow you to enjoy what you have more than you seem to do now. I would also suggest you see a good counselor to explore these issues. A counselor is not cheap, not a good one, but I think it is a must. Life is for enjoying (at least some of the time) and saving should be for a purpose, not just for its own sake. DH also solved this problem for him with a weekly allowance. Absent of purchasing real estate in Northern California (something that would take several more million than we have and isn’t worth the life sacrifices in between), I’m pretty comfortable with my spending. I feel comfortable with the retirement maxed out, no debt, a healthy emergency fund, automated 529 savings, and regular payments on the house. After that I don’t feel guilty but I also don’t need as much as we could buy. I am a little worried in case DH quits his job… then I will have to start thinking about money and purchases again. We’ll still have a comfortable income but one in which we may have to make sacrifices or watch what we spend. I find I like not having to think about things. I went through that same emotional yo-yo of spend/save. What helped me balance it the most was creating a realistic budget that included savings categories. Each month when I look at the budget vs. actual for the month & YTD & see positive results, I relax a little more. This month I was hit with 2 surprise emergencies (a furnace hiccup & minor emergency Vet visit). For the first time, I didn’t go into super stress mode. I have a healty emergency fund for the first time & have now adjusted the budget to allow for the purchase of a new furnace in a few months with central air (a major bonus in comfort). I learned that will be the smarter choice since two more “repairs” like the last one & I will have spent as much as investing in a new one. That also doesn’t take into account the savings I’ll reap on a new energy efficient system vs. a 30-yr-old clunker. It was a really nice change sitting in the vet’s waiting room worrying only about my dog’s well being & not also about how I was going to pay for the service. Thankfully, she’s now doing fine. I have a Spring art supply shopping trip planned in a couple weeks. A year ago I would have cancelled it & been miserable believing it was the only frugal & responsible choice. Now planning, saving & moderate spending have made it possible for me to take that trip, enjoy myself, & invest in the personal wellness of my own happiness without fear or guilt. I never really had a problem with finding the balance between over and underspending, but I do struggle with balance in almost every other area of my life, so it’s a big issue for me. Maybe it will help me to apply the when is doing more (or less) of x question to other areas. With money though, I value saving for retirement and clearly defined emergencies, and I value spending on travel, gifts, and food. Great Post! While extreme frugality has a place, especially if you’re trying to climb your way out of debt, a balance needs to be sought. Reminds me of some of these people that go on diets to lose a few pounds. But they too get carried away and just keep losing weight until they are so skinny as to be unhealthy. At least if you’re saving too much you might not be as happy as you should be, but you’re sitting on a bigger pile of money!! I’m in the miserly stage right now! Take our phone for instance, which is slowly dying. When you press the buttons to dial they don’t always work which can make for some interesting new connections. In the past I wouldn’t have waited for my phone to become completely defective to replace it. The moment it started getting shabby I would have run right out and gotten a new one. Now I’m putting all my friends on speed dial so I won’t have to press the buttons as often. When I’m at the store and I look at the prices of a new phone I cringe. Not so much for the price they are asking but because I can think of so many other places I would like that money to go first! I know I need to find a balance and my goal is similar to yours- putting my money into buying local products, especially food. I’m worried about Chipmunk, too, and am in agreement with others who say, please get thee to a counselor. If as you say you live in a country with national healthcare (I’m guessing Canada? ), mental health services should be included. One thing I find in discussions of overspending/oversaving is that a lot of people don’t seem very comfortable thinking of themselves first. We start off by loving Stuff, and we love money because we can get Stuff with it. Or we love some Person, and we love money because of what we can do for that Person. Then we have too much Stuff or we lose that Person and we swing the other way, and we start loving money just for its own sake. But like Sandy said, money is just a tool. What we do with our money so seldom has anything to do with loving *ourselves. * Each of us has to do what works for us, each of us has a unique worldview and a unique set of challenges and responsibilities, but we are often so outward-focused that we don’t stop to think “what’s best for ME?”. So I think for anyone with a recognized tendency to over-save, to be miserly, to overindulge in self-denial, April’s bullet points are an excellent road map to examining ourselves and finding the places where we are not loving ourselves enough. Obviously, if we are not clothing and feeding and housing ourselves adequately *by choice*, there are issues much deeper than money at work. Like you, the quality of my food is very important to me. Dealing with multiple food allergies and my overall heath, I don’t mind being the small percentage of Americans that spend more on their groceries. Dealing with a chronic illness at a young age has taught me that life is too short to overspend (probably wont be able to work to retirement age) and life is too short to be a miser. I was nicknamed by my sisters to be Mr. Scrooge – not as bad as the Christmas Carol – more like Scrooge McDuck from Tales Spin. I, too, have had a hard time spending money. Luckily, my wife gives me support to actually spend my birthday money and buy stuff! It isn’t just stuff if it enriches our lives and benefits multiple family members – my favorite item that falls in this category is board games. They are never obsolete and they foster time together. And sure enough, after enjoying the game a few times – the guilt of buying it goes away! I’m finding that what I’m willing to spend on has changed as I got older. “Shinies” like jewelry, clothing, computers and cars have less appeal; but replacing walking shoes when they hurt my feet? Not a problem. Going to the nice dental practice that charges more than the local tech college? Not a problem. Buying the mix of prescription and OTC allergy meds so I don’t feel like I’m sick all the time? Absolutely. On the other hand, I have less tolerance for sharing a room at scifi cons than I used to – especially if it means taking a couch or the floor. I’m happy to spend more on vacation to ensure a better night’s sleep. The key to guiltless spending for me is knowing that all my fiscal responsibilities have been taken care of. The way I handle this is by budgeting out all my expenses, including how much I put toward my savings goals. Whatever is left over is “fun money” and can be spent without guilt, because I’ve already done my homework. Great Post! My husband and I are roughly two months from DEBT FREEDOM!! I wonder what we will do with our money b/c we have been very strict for the past two years. Sometimes I think about splurging a little but the thought scares me. Feels like wasted money. Love the frugal lifestyle, can’t wait to enjoy life a little more here soon! I am in the middle of the miserly phase of this process, myself. I was never a huge spender, but similar to April I got a “high” from shopping and bought lots of lower quality junk that still fills my closets years later (though I’ve been on a purging binge lately, thanks to the great posts here about Stuff). Now that I am reformed, I’ll sometimes get the urge to go shopping, but find myself in a store feeling really frustrated that they don’t have anything, when really they just don’t have anything that I’m willing to part with my money for. In many cases this is good, but in some, not so much. Like when I find myself debating about food purchases (junky is so much cheaper than healthy) or feeling anxious about spending on needs. I think balance is the key, but I’m not quite there yet. @Chipmunk – sounds like you are starting to recognize and come to terms with having a problem, which is a HUGE first step. Now you need to take the next step and get some help. I find myself doing things the hard way sometimes, knowing that I could legitimately afford an alternative, but I am able to recognize when it is unhealthy or absurd to continue. It sounds like your perspective or control over that aspect is a little off, and getting some help with that now could save you a ton of hardship (and money!) in the long run. Definitely. Thanks for this post. I’m a “fairly” balanced person and have never found myself so entirely on one end of the spectrum I couldn’t see the other, but it’s a very good warning. Life is all about balance. And I’d like to ENJOY it. Enjoy saving. Enjoy spending. And just enjoy each day regardless of which one I am doing but knowing that the decision I’ve made I can enjoy today–and the benefits of it tomorrow! I’ve recently been eyeing a new surfboard. They’re not cheap (the one I want is $625), and so I’ve been hesitant to buy it. I talked to my wife about it, and she said I can go ahead and buy it as long as I’ve got the money and all the bills are paid. I do, there’s enough sitting in my checking account that I could buy it and it wouldn’t affect any of my other obligations at all. Still, I’ve been having a bit of a hard time justifying it to myself. I think I’ve decided I’ll let myself buy it once I can sell one of my older boards, to offset part of the cost and because I only need so many surfboards (I’m a bit tempted to just keep collecting them, but I know I never use certain older ones anymore). There was a time in the past when I would have just bought it regardless of whether I had any money or not, and charged it on a credit card. Luckily that time has long since past. I’ve never gotten to the point of being exceptionally frugal, though, and I think where I am right now is pretty healthy. For years now, though, credit hasn’t even been an option I’d consider at all. If I don’t have cash on hand, then I can’t purchase it. This really limits the damage I’m capable of doing to myself. Also, watching a bank account balance drop I think feels more real to me than watching a credit card balance rise. I’m also a lot more comfortable now than I used to be with making do with what I have. If I didn’t have the money for this board right now, I’d be ok with just using one of my current boards, comfortable with the fact that this is what I have right now. In the past, I may have felt resentful for being stuck without the board I wanted to buy. This attitude change makes not spending *so* much easier than the attitude where I used to judge myself based on how impressive my possessions were. I wouldn’t have told you that’s what I was doing, but to some degree, I was. I have an ING sub account in which I deposit the princely sum of $50 give or take a few cents every 2 weeks. 1. Paying for little odds and ends like the broken carafe. 2. Silly stuff I want to buy or go do for no good reason other than I want to. Solves this problem for me. I actually need to increase it but budget’s tight right now. I never went through that first, spendthrift phase. I was already in the “overly frugal” phase when I started to have my own money to manage. I have been moving more towards that middle ground over the last few years, which is good. Maybe because I lived through a spendthrift phase as a child, that counted? When I was much younger we had plenty of money and spent plenty of it. Eventually my parents’ business failed, and we had far less money. My mother switched into ultra-frugal mode – she was (and remains) quite adaptable. I picked up on the ultra-frugality and took it even further, perhaps without quite understanding the reasons behind it. Somehow I met a girl (later woman, now spouse) who, through her own path, had more or less the same “don’t spend money” philosophy. We avoided spend money together for about a decade. Since then (another four years) we’ve been working on spending more conciously, the biggest example being on travel. We continue to save plenty for the future, but make that conscious effort to live for today as well. One thing I do is take some of the tips on how to spend less money, and turn them on their head. For instance using our credit card helps us spend more easily (don’t worry, we pay it off every month.) On our last trip in London, the guidebook cautioned against thinking of a pound as a dollar lest you spend too much – so I thought of pounds as dollars. Another tactic I use is to make irrevocable monetary decisions, such as making a deposit, buying tickets, etc. Then our natural aversion to wasting money kicks in and we go through with the activity wholeheartedly. For my family, we approach our miser vs splurger debate using a prioritized list of things that are important to us versus things that are not. As such, we generally opt to live well below the standard of similar folks within our financial demographics (very modest neighborhood, one car family, dining in, buying used, etc.) so that we can focus on our favorite family priority – travel. In the meantime, we get our share of criticism from our extended family and friends (those in our same financial demographic), who live in expensive neighborhoods, dine out a lot, buy or lease new cars at frequent intervals, and buy brand named new stuff (and lots of it). I understand the criticism, because our day to day living is very different. But they also criticise when we travel across the country (or the globe) several times a year, saying that we should use our travel money instead to support a higher living standard. To each, their own, I suppose. Very nice. It seems whenever I see people become financially conscious, they go through this certain process. I JUST wrote a post similar to that yesterday. My story is a little bit different, but it’s really all the same. Rewire your brain to value accomplishments and/or relationships. I have intensely struggled with overcoming the miserly addiction for years. I cannot yet say that I am “cured”, but the one thing that has truly saved me from going crazy was to implementing an allowance. Instead of paying bills, saving, and saying “whatever’s left is for fun”, I decided the amount for fun, and everything else goes to saving. When I tried the leftover approach for fun money, I still felt guilty that I could still spend less and save more. Now, I KNOW that I am saving plenty, and that my “fun money” is really good to use on whatever I want, without stressing that I could put it toward paying down the mortgage. I tend to be a bit of a miser, and then I end up buying cheap clothes on sale (that I don’t necessarily love) and feeling guilty about indulging in expensive tea (which I know that I truly enjoy and appreciate daily). I try to re-tool my spending so that I’m getting the most bang for my buck. I don’t go on pointless shopping sprees, but I make a point of buying myself fresh flowers every week. Yes, I spend $5 – $15 per week on flowers, but I love picking them out and I get to feel indulged all week when I see them on the table. I’m sure it seems like frivolous spending to some, but it makes me genuinely happy. I never figured that once I got my overspending under control, I would then have to worry about UNDERSPENDING. It really doesn’t seem fair. I went through a very similar thing after being laid off. I agre with some of the comments others have made, it maybe that you need to follow the swings of extremes, the pendulum eventually settles in the middle. I am working more on enjoy the experience, if buying lattes and hot chocolates for breakfast makes a weekend morning special with the kids. then we go for it. In the meantime we continue to take our own brewed coffee to work and pack lunches. I went through this myself. I was a complete spendthrift, and realized I needed to start saving money. I then became such a miser, I would stop buying groceries and go without, just to save a few bucks. You have to live your life, taking the middle path. I love to save money, but I need to eat too! Great post, I think lots of people go through this exact same scenario. I don’t think I’ve ever gotten to the extremes for either saving or spending, maybe because I knew examples of both ends. Spending, we can all think of examples. Saving, my Greek grandmother when she came to the states got an sweatshop job working long hours for pennies sewing (until she moved in with our family). She saved 40 thousand from that time and never spent it on herself. Her way of living “large” was to go to the mall, purchase one item after spending an hour mulling it over, and then the next week return it saying “I don’t need it”. We would try to buy her useful gifts such as nice soap, new bath towel, and she would leave it still wrapped on her dresser, because it was “too nice” to use. After she passed away we would visit her grave and put flowers in her vase. We always had a wistful laugh about that, agreeing that she would “not approve” of us leaving flowers since they are a “waste of money”. But we still leave the flowers because we love her so much and want others to know she was loved. I just had a crisis over this yesterday, that hit me unexpectedly. I’ve always been a huge spender, but a year ago I decided to become debt-free. I’m on track to be debt free by the end of this year. I have totally stopped buying anything but needs, no wants. Well, yesterday I “fell off the wagon” and bought an eyeshadow at the mall. It immediately sent me into a panic attack, afraid that my spendthrift ways would come back and destroy my efforts again. I had to take a valium, it was so bad. I also drove back to the mall and returned the item right after work. Now I’m just trying to tell myself that a tiny splurge here and there is okay, no reason to flip out. I hope I’ll be able to remember that the next time it happens! I’ve posted many times about how I chose a modified debt repayment plan that is taking me twice as long to pay off as a “gazelle focus” ultra frugal plan would. I’ve done the “Spendthrift/Frugal/Spendthrift” yo-yo dieting before, and I didn’t want to pay off everything only to fall right back into my old (bad) habits the second I tried to lift the restrictions. So instead, I worked out a budget that let me have *some* indulgences, but also gave me a clear timetable for paying off my debts. I feel like this has set me up for long-term success, because I’ve learned how to budget for fun stuff ahead of time, and how to resist the urge for immediate gratification. Great article. I would add that we’ve found that we tend to spend as the company we keep spends. If we have friends that settle for cheap entertainment and food when they spend time with us, then we don’t spend much. If we spend more time with friends and family that feel they must spend a lot to have fun then we too spend a lot. Great Post! This is something I continue to struggle with since I quit a very stressful job few years ago. I now have job I really enjoy, however, I took a 20% paycut. My wife and I have a mortgage but no other debt and have been paying an extra $2,000 per month for that last 12 months. We hope to have our mortgage paid off in 6 to 8 years. We do splurge on travel (she is a flight attendant)but rarely eat out and buy most of our cloths at thrift shops. Overall, I enjoy the frugal life style because I value my “quality of life” more than I value “stuff” and a high stress job that come with it. I tend to live a reasonably frugal lifestyle but my wife and I splurge a bit when we go on vacation. We tend to eat out at restaurants, shop, and spend more money in general when we’re vacationing; however, we remain responsible. It’s certainly not a time to rack up the credit card and ‘see what it looks like’ when we get home kinda thing. In a way I went through that and in a way I didn’t. I never overspent. I was never in debt. So I didn’t go from one extreme to the other. But I did have a wake up call “you’re saving too much”. It actually caused me health problems. I still find it hard to balance out, really, every time I spend money it feels like I’m splurging, and I keep questioning whether I was right or not, but I find automated savings help a lot. Then I have to kinda force myself to spend some of what’s left. But I’ve noticed I really don’t have a need for small things. It will be more like big buys from time to time. For instance we’ll decide to buy a game console, $400 all at once, a third of his pay cheque to give an estimation (I don’t work). That’s a lot for us. But if we’ve saved for everything (which is done automatically) and we still have the money, then why not? It will make us happy to play these games, and I’d rather spend $400 once on something that makes me really happy (well, we’ll have to buy games, although one is already included), rather than $5 or $10 more often on things that really don’t make a difference. Of course it depends on the person. You might find that your daily cup of coffee is what makes you happy, for instance. I still struggle with this as well. It’s like yo-yo dieting. We paid off a crazy amount of mortgage debt in 2009. I then decided I’m going to finally reward myself and buy those things I’ve been wanting all year. There’s only a handful of times this has happened to me in the 18 years I’ve had credit, but after my spree, I had a credit card bill I couldn’t pay off at the end of the month. I was so mad..so back to miser mode. I think depending on your personality, it’s very easy to have one bowl of ice cream turn into the whole gallon…so best to be without the temptation…or better yet, go out for a cone once in a while. It’s a little more expensive but better for you long term. For me, it’s definitely easier to “budget” for a vacation or go out to eat 1/week then it is to just splurge randomly on things. I don’t have good control over how much and when to stop. I’m still pretty cheap, but we spend a lot on certain things that other people would not choose. I’m OK with paying for things we deliberately decide to buy ahead of time. It’s the impulse purchasing that makes me uncomfortable, and I don’t see that as a problem. My first thought reading this post was “how silly.” I mean you’re having a “moment” over a $12 carafe? However…I do acknowledge that for many people this process of learning to living simply can be like giving up an addiction. Pick any poison you want. You go through your huge emotional swings/extremes and eventually you come to accept who you are and what you can do about it…and stop caring what other people think of your decisions/lifestyle. THAT’S liberating. Dear everybody, thank you for your kind and compassionate responses to my post at #6 above. It was a huge reality check for me. Although I want to see a counselor, I don’t think I’ll bother because my three jobs make it difficult to find the time to do so (and also because in this country I’d have to go on a six-month waiting list, and anyway what am I going to say when they ask me what my problem is – that I avoid debt and live like my grandparents?). Today I sat down and made a list of small things that make me happy, that I can spend my money on without too much guilt. For example, I can buy an air freshener in my favorite scent, rather than the scent that happens to be on sale at the supermarket. Or a pair of socks that feels soft and not rough. Or I can even buy an actual book that I want to read immediately after publication, rather than waiting for it to hit the library. I haven’t done any of these things in years. I know it’s a small start, but it’s better than nothing. Thank you for giving me the “permission” to do these things. I think that’s what I was waiting for. Hang in there! It will get better if you continue to make small steps toward progress. It might look tough now but you WILL get better with some effort. If you don’t want to see a counselor at least consider talking to a friend you trust. As you can see talking to others (on this site)has already given you a more balanced prospective that can help you give yourself “permission” to enjoy your life again. Remember that balance is the key to happiness. As others have stated before me, it’s common to take an initiative or goal to the extreme once you sdee progress. My experience with frugality is similar. I also lost a bunch of weight a number of years ago and once I acheived my goal it took some time for me to enjoy the occassional splurge without feeling guilty. Of course, with finances you never complete the process you just move on to the next goal. I love your tips about the middle ground. These are things I need to wrap my mind around. My husband and I have just made a budget, for the first time since the wedding, in which we have not only savings money but spending money budgeted in – and I still find myself struggling to spend anything at all! I know I shouldn’t feel as guilty as I sometimes do. i thought i was the only one that went through this. i got through it 3 ways. the first way was by reading (“how to get out of debt, stay out of debt, and live prosperously” and other books/articles that mentioned hoarding). I know that not everyone is religious — and i’m not either usually — but hoarding means you’re not trusting God to take care of you. That helped. Thirdly, I identified things that i love. not just things that cost money, but anything that gives me TRUE fulfillment. then I gave myself “permission” to spend whatever i want on these priorities as long as i have the cash to pay for it (I’m debt free except the student loan and we’ve chosen not to pay that down faster). It worked! i feel more balanced now. I save without hoarding. Every “saver” goes through these phases. Thanx for writing about it. It’ll help a lot of people out. I had the opposite experience from you. I went to Dubai, flew in the airport and had to use the bathroom. No toilet paper. Cleaned myself with 10 $100 bills. I used to feel sorry for myself because I had no shoes. Then I looked at the person next to me, and he had no feet.